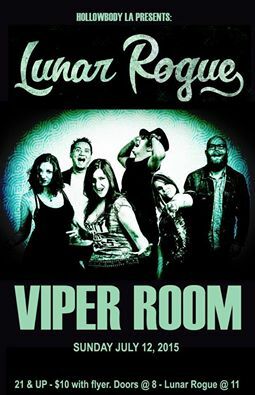 Lunar Rogue » Julia & Darcie’s Birthday Show at Viper Room! Julia & Darcie’s Birthday Show at Viper Room! Lunar Rogue is going to party hard for Julia and Darcie’s birthday show at The Viper Room on July 12th! Your presence has been requested by the girls, so make it happen!! Everyone is bound to have an awesome time at an awesome place, so why miss out on that??!? Click the flyer for more details! See you there! !